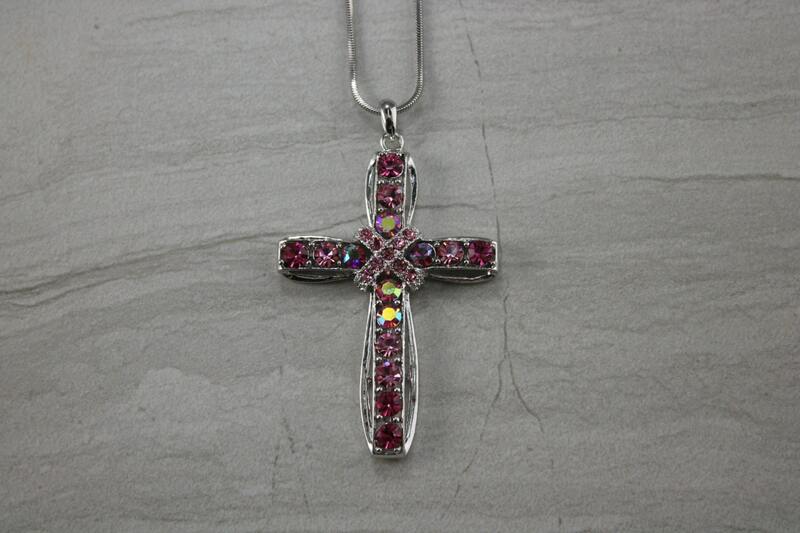 Beautiful pinks bling cross necklace on an 18" chain. Beautiful for anyone enchanted with Pinks or an October birthday! The length of the cross measures 2 1/4" from the top of the bail to the bottom. The width is 1 1/4". Nickle and lead free.